Today’s photo is of New Zealand’s native kōtukutuku/tree fuchsia blooming in Catchpool Valley near Wellington. Taupo’s Summerset Retirement Village property team recently helped DOC collect seeds for a 50 year Landcare Research project. It sounds like a bad joke. 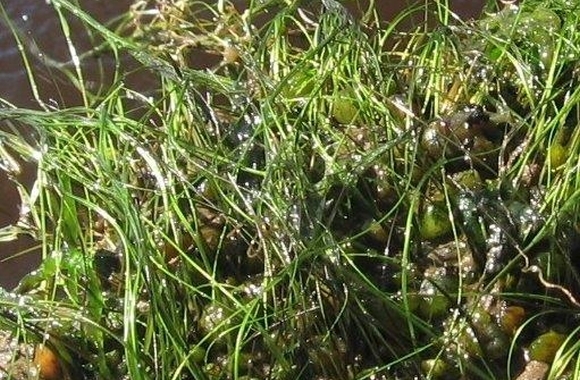 What is green, stringy and lurks at the bottom of Waituna Lagoon? The answer is Ruppia. Or it should be. 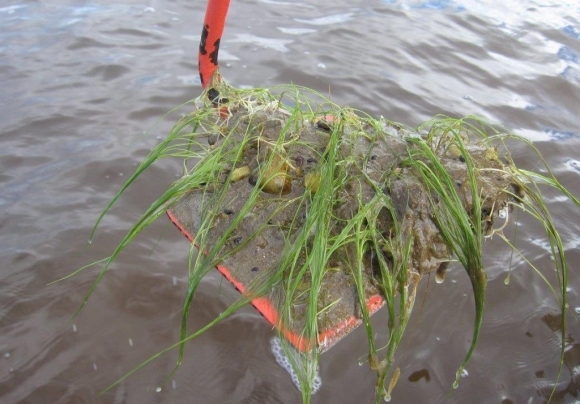 But right now the future is not looking very green for this aquatic plant. 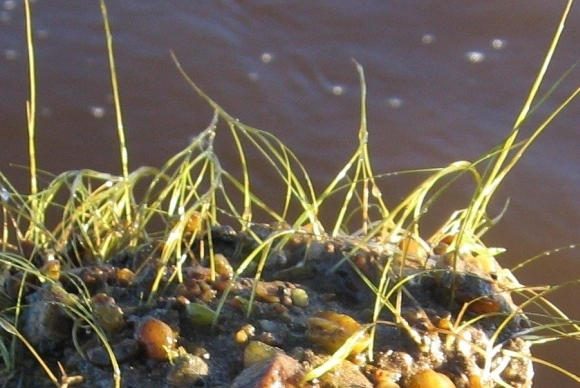 Ruppia is a green, salt tolerant aquatic plant that grows on the floor of Waituna Lagoon like a meadow of long wavy seagrass. It’s essential for a healthy lagoon and is the life support system for the lagoon. Just like grass, its roots hold the sediment together. Its leaves use up nutrients and create oxygen and they also provide a home for fish and aquatic invertebrates to live. It is even a meal for some fish and wildlife. 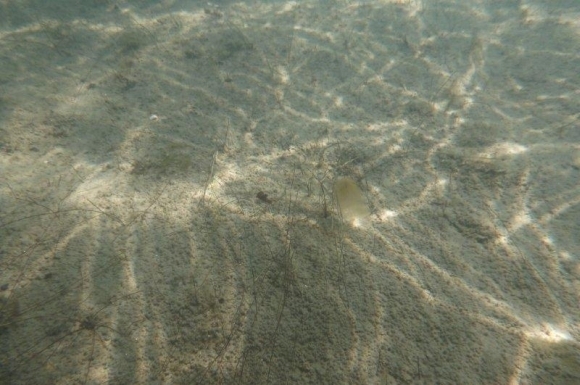 Without Ruppia the water quality declines, animal numbers decrease and the lagoon could become dominated by algae. Put simply: healthy Ruppia means a healthy lagoon and healthy fish. DOC has just received the latest annual monitoring report from NIWA, which describes the health of the ruppia beds in the Waituna lagoon. This year’s results recorded the lowest number of sites with Ruppia and a reduction of overall cover of Ruppia since annual monitoring began in 2009. One of the species—Ruppia megacarpa, was only found at one of the 48 monitoring sites. Nuisance algal species that cause algal blooms and could smother Ruppia plants were also recorded in the lagoon during the monitoring. It is hoped that under ideal conditions (high water levels and low salinity) Ruppia will flourish in the lagoon again. 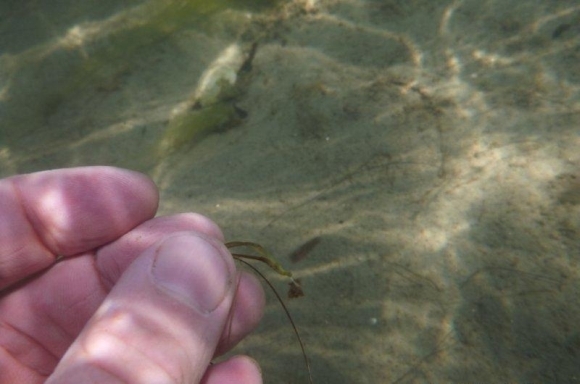 DOC is working with locals and the Waituna Partners and Working Groups to help create the best conditions possible for Ruppia in the Waituna Lagoon. It is hoped that under ideal conditions Ruppia will again flourish in the lagoon. A full copy of the report is available on the DOC website.